This holiday shortened week we had a small loss of $52 reducing our YTD gain to $1,402. While the market continues to grind higher (yes, even I’m getting tired of using that phrase) complacency continues to increase. That, in itself is not really a problem, but the herd of recent investors can be easily shaken by a negative surprise. So the question remains for traders fear or greed? Are they more likely to close out longs or shorts at the end of the week? Clearly, with this shortened week the answer was to keep (and add to) the longs with the Dow and S&P500 up to new all time high closes. For those who have no memory, this was the same situation that occurred at year end. The primary difference is that the run up in December was roughly 80 S&P points and the current is only 45. The Dow run is also only half the December move. So, technically, we may have some room to run, but I am wary. My advice here is stay involved, but do not hesitate to take some gains off the table and initiate smaller starting positions. You can always add-on if you protect your capital. Remember that the year- end rally DID NOT come with a warning. The Dow started down on the first trading day and lost 1200 and the S&P 115 points. As I’ve said before, “they don’t ring a bell” and if we start lower it is always possible to see that elusive correction that all the talking heads on TV keep predicting. One issue that keeps being repeated is that we are not expanding the new highs list. While this is true, there are several issues to consider. One, many of the “important” names are making new highs and some weak sisters like IBM are showing good strength coming off pullbacks. IBM can rally over 10% and still not hit a new high…this is what rotation is all about; and two, there is plenty of very cheap money around to do deals. PETM was another stock that rolled over in the March to May period and collapsed from $70 to $64 and then again to $55…a great short play. However, Thursday there was an announcement that an activist had taken a 9.9% stake with an eye on taking the company private. PETM closed at $ 67.28, up $ 7.47. Monsanto ( MON ) was another example of less expensive available money to enable them to borrow $4.5Bil for a share buyback which cost them about 3% interest. These are typical of the kind of scenario that puts money back into the hands of investors the same way new issues take it out. It can’t be ignored. Of the 7 “gap-fill stocks” mentioned here last week, 5 were up and 2 slightly lower and even COH managed a small gain after it’s 3 step move lower from $56 to $35. There were no closed out stock positions last week. We had a loss in the options account of $ 104. We have open position losses now of about $7,588.00 some of which are in both coal stocks and small cap bio-med stocks held over from last year. Earnings season begins this week. Alcoa comes out Tuesday after the close. Expectations are for earnings to have improved to $ 0.12 vs $ 0.07. However, Top Line numbers are expected lower at $ 5.454B vs 5.833B. Earnings a s a whole may be disappointing. Profitability may be lacking as consumer spending has been falling due to higher food and fuel costs. Hopes for a second quarter rebound are beginning to wither. JP Morgan Chase lowered their estimate of second quarter GDP by 0.5% to a 2.5% pace from 3%. These are hardly the metrics needed for federal reserve officials to raise rates. The odds of a rate increase at the central bank’s June 2015 meeting were 57%, up from 51% prior to the report. Last month the odds were just 43%. The deposit rate (interest on reserves): The Fed will raise the deposit rate to provide incentive for banks to hold onto their excessive reserves. By keeping the excessive reserves in the banking system, the Fed can limit the expansion in the money supply and inflation. Reverse repos: Same idea as paying a deposit rate, the Fed will pay the banks a premium on reverse repos to temporarily reduce the monetary base. Banks would be the beneficiary of any rate tightening and subsequent higher rates. Nonfarm Payrolls led the way on Thursday as the key indicator bounced back in June with a strong release, coming in at 288 thousand new jobs. This crushed the estimate of 214 thousand. Unemployment Claims were steady at 315 thousand, almost replicating the estimate of 314 thousand. There was more good news from the Unemployment Rate, which continues to move downward. The indicator dipped to 6.1%, its lowest level since September 2008.The underemployment rate known as the U6 fell a notch from 12.2% to 12.1%. The strong employment numbers are sure to increase speculation about an interest rate hike by the Federal Reserve, and after the Fourth of July holiday, the markets will be closely attuned to remarks from Federal Reserve policymakers. The number of people working part time because they can’t find full-time work rose. The number of people working part time either working or looking for work remains around 30-year lows. June’s labor force participation rate was only 62.8% unchanged from May. For the Fed the quality of employment is not conducive to their raising short term rates. If there was one negative in the report it was that 275,000 of the 407,000 newly employed workers were only able to find part time work due to business conditions. This type of employment growth will keep downward pressure on overall income growth. June’s full-month performance this year was well above its midterm-year and all-year averages since 1950. 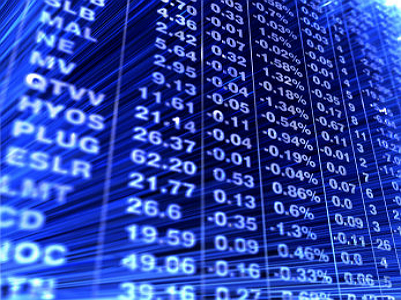 DJIA gained 0.7%, S&P 500 added 1.9%, NASDAQ jumped 3.9% and Russell 2000 surged 5.2%. At the completion of the first half of trading in 2014 gains stood at: DJIA 1.5%, S&P 500 6.1%, NASDAQ 5.5% and Russell 2000 2.5%. Strength was broad based in June with 28 of 29 sectors tracked posting gains. Only the Bear/Short sector declined. Top performing Almanac Investor ETF sectors in June were: Leveraged Long (+7.5%), Biotechnology/Pharmaceutical (+7.0%), Natural Resources/Gold (+6.5%), Semiconductors (+6.5%) and Software (+5.0%). Year-to-date, the Semiconductor sector remains the top performer, up 19.8%, followed by Leveraged Long (+16.6%) and Biotechnology/Pharmaceutical (15.9%). Cleveland BioLabs* ( Nasdaq: CBLI ) trading between $ 0.47 and $ 0.50, Did not participate in the huge rally of Biotechnology/ Pharmaceuticals and is completely overlooked. They are very advanced in cancer research which they call Entolimod. They received contract from the Russian Ministry of Industry and Trade to support oncology development,. To date they have received about $ 23 Mln in both development grants and contracts awarded.